Ships from and sold by Goodread Bookstore. A very lucid explanation of sleep and why a full 7 to 8 hours a night are required. I have spent a lifetime of cutting down of sleep time to get some more work done. If I had read the book earlier, I would organised my life differently. Sleep has been a big mystery for long, as it has been unclear what purpose it serves, and why natural selection did not weed it out. After all, in earlier times, the period of sleep must have been one of considerable danger for humans (and even now for many animals and birds). And yet, sleep is a common requirement across the animal kingdom as well. In fact, birds and some sea creatures have the remarkable ability to sleep half a brain at a time. 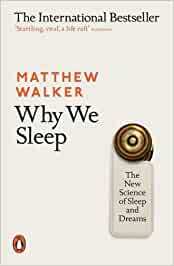 Matthew Walker is a sleep scientist and does an exceptional job in this book of explaining what sleep achieves for us. In fact, sleep deprivation is extremely dangerous and there is not enough awareness of this. Modern lifestyle has dealt a blow to both our duration and quality of sleep, and the effects are already quite apparent. While sleep has not completely revealed all its mysteries to us, a lot is now known after painstaking research over several years. Our sleep shuffles between NREM, Light and REM sleep – and all of them have their purpose. NREM sleep fortifies our memory helping in longer term recall, while REM sleep & dreams lend emotional balance and help us get to the big picture. The book discusses a large number of experiments detailing what happens when we skip sleep. Depending on the sleep cycle and the quantum of deprivation, the ill effects are nothing short of disastrous – lower immunity, failing memory, loss of emotional balance, pre-disposition to serious diseases such as diabetes, dementia and even cancer. Getting adequate sleep (~8 hours) on the other hand makes people more creative & productive other than being healthy. Somehow, our cultures today do not emphasise the importance of sleep, as much as we do exercise and diet. So much so, that sleeping less is mistakenly regarded as a confirmation of working hard and being more ambitious. The assumption that each of us can do with varying periods of sleep is largely a myth as well. While a genetic mutation allows a few to function effectively with around 6 hours of sleep, this is extremely rare. Almost all of us do need ~8 hours of sleep. There are tips on improving sleep quantity as well as quality all through the book, such as regulating caffeine in the later part of the day. Most of us are guilty of not according sleep the importance it deserves, and this book is an eye opener. This is a book everyone should read. There are very important points of note for individuals, educational institutions, hospitals, organisations and even governments. 4.0 out of 5 starsIlluminating! Clearly Dr. Walker seems to have done his research on this topic. He makes a very strong case for revisiting our attitude towards sleep. Amazing insights on sleep. This has definitely made me change some of my habits to ensure I get better sleep. Would have been good to devote a chapter on the effect of practices such as meditation on sleep. Perhaps that needs mor research. Is it possible that meditation can offer restorative benefits due to lack of sleep, in some measure? 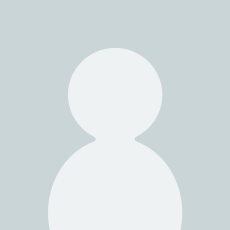 This book will transform the world for better. Doctors, drivers, professionals working late hours must read this book. Any eye opener, this book dispels many myths around sleep. awesome insight into the ~30% of your life that you spend sleeping. nicely written and not difficult to follow. Thanks to Mathew Walker, I recommend all humans to read this once. Must read for good health. Sleep is the elusive elixir of life and fountain of youth. Read this book to change your life. The details about Why we Sleep are very nicely summarized in a simple text. Must read.